Solomons Lump Light is located in Kedges Straits, near Smith Island, MD. The light marks the east-west passage between Tangier Sound and the main shipping channel. The original layout included a square, brick, light tower to one side and a wooden keepers dwelling. 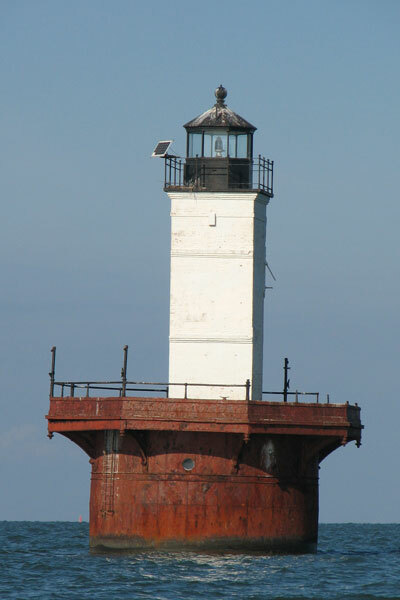 The light was automated in 1950 and the keepers dwelling removed, giving the structure its unique, lopsided appearance.